We first came across Dave and Vignaverde at the “A Place in the Sun” exhibition in London. We had been thinking for some time about buying in Italy and, having recently retired, were ready to look into it seriously. We listened to Dave’s presentation and spoke to him afterwards and immediately felt confident in his approach and interest in what we were looking for. As a result we booked ourselves onto Vignaverde’s Abruzzo tour which was an excellent way of getting a feel for this beautiful region and what it had to offer. This and the enthusiasm of the Vignaverde team and various local people that we met over there made us feel that this was the place for us. We subsequently arranged a trip out to view properties having sent Dave a fairly extensive ‘wish list’ beforehand and chosen some properties from the website to look at. Over the next couple of days we were shown a range of houses. 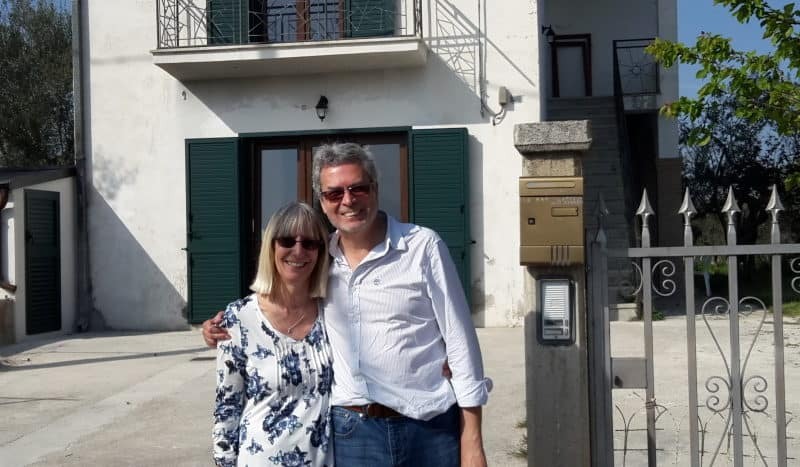 Dave had got to know us and our preferences very well by now and was keen to show us a particular house in Piano Laroma which he and Claudio felt would be just right for us. The Geometra (Pino) was really helpful at this point in discussing with us all the different possibilities regarding the restoration – and we made our offer. The next few months prior to signing were not without issues but throughout we were confident that they were looking after our interests. When the time came for signing on the dotted line we were taken through the process very thoroughly beforehand. They did a brilliant job in translating contracts for us and making sure we understood all the different documents so there were no surprises later! At the Notary’s office it was quite formal and exciting at the same time – but everything was clear with two screens going through Italian and English versions of the contract simultaneously. Having them there ‘holding our hands’ helped of course! Handshakes and smiles all round afterwards and it was good to meet the vendors and speak to them in our clumsy Italian! 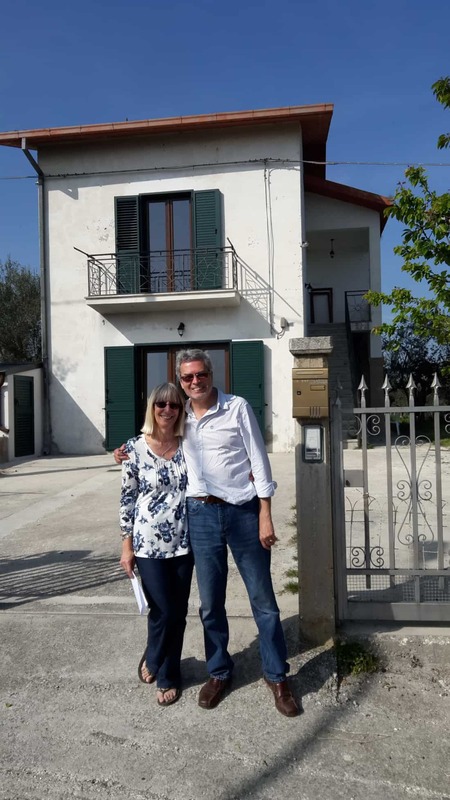 We celebrated with a lovely meal that evening at Il Vignale and felt that we could look forward confidently to the next stage – the restoration project. And so it has turned out with Vignaverde managing this very professionally for us and keeping us well informed throughout. Obviously we have had the odd “Oh my god what have we done?” moment but we have had fantastic support and advice from them and would certainly recommend Vignaverde to anyone thinking of embarking on a similar adventure!